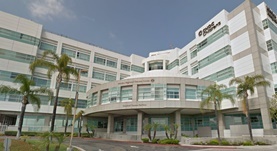 Dr. George Shahinian is a renowned pulmonologist in Laguna Hills, California and he works with multiple hospitals in the area, such as Mission Hospital and Saddleback Memorial Medical Center. He got his diploma from St. George's University School of Medicine and did his residency in Internal Medicine at San Joaquin General Hospital. Dr. George Shahinian did a fellowship in Pulmonary Disease and Critical Care Medicine at Penn State University. The doctor is certified in Sleep Medicine, Pulmonary Disease, Internal Medicine and Critical Care Medicine and has an experience of more than 20 years.